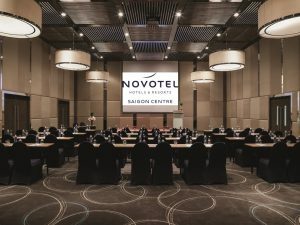 Novotel Saigon Centre is ideally located in downtown with access to major consulates, commercial areas, and shopping centers. The 4 star hotel in Saigon, Vietnam features 247 comfortable rooms with stunning city views and free WIFI. 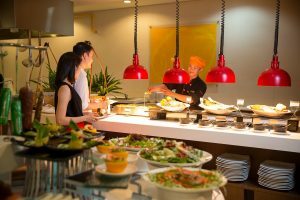 The hotel outlets including an international buffet restaurant, a lobby bar, a rooftop bar, spa, fitness center and a swimming pool offer all that you will need for business trips or holidays. The hotel also has 7 meeting rooms with the latest AV equipment that can accommodate up to 400 people. Book your hotel online with us today!